Allan began his nursing career in mental health nursing subsequently undertaking adult nursing education. 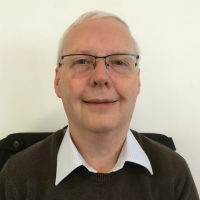 While he has worked in a number of specialisms his background is in the nursing care of older adults, latterly focussing on people living with dementia. After entering nurse education he worked initially at London Southbank University as both module leader and latterly as a Programme Director. At Kings College London he was a module leader, programme director and the Chair of the pre-registration admissions panel before undertaking a Head of Department role. Barriball, L., Hicks, A., Cohen, H. and Lewry, L. (2008). Primary Care Services for People with Intellectual Impairment. Learning Disability and Other Intellectual Impairments: Meeting Needs Throughout Health Services (pp. 55–67). ISBN 978-0-470-03471-2. Griffiths, P., Winterhalder, R., Clark, L.L. and Hicks, A. (2008). The Future of Services for Intellectual Impairment. Learning Disability and Other Intellectual Impairments: Meeting Needs Throughout Health Services (pp. 217–232). ISBN 978-0-470-03471-2. Nicholson, C., Morrow, E.M., Hicks, A. and Fitzpatrick, J. (2017). Supportive care for older people with frailty in hospital: An integrative review. International Journal of Nursing Studies, 66, pp. 60–71. doi:10.1016/j.ijnurstu.2016.11.015 . Chen, Y., While, A.E. and Hicks, A. (2015). Self-rated health and associated factors among older people living alone in Shanghai. Geriatrics and Gerontology International, 15(4), pp. 457–464. doi:10.1111/ggi.12298 . Chen, Y., While, A.E. and Hicks, A. (2015). Physical activity among older people living alone in Shanghai, China. Health Education Journal, 74(2), pp. 156–167. doi:10.1177/0017896914523943 . Chen, Y., Hicks, A. and While, A.E. (2014). Loneliness and social support of older people in China: A systematic literature review. Health and Social Care in the Community, 22(2), pp. 113–123. doi:10.1111/hsc.12051 . Chen, Y., Hicks, A. and While, A.E. (2014). Quality of life and related factors: A questionnaire survey of older people living alone in Mainland China. Quality of Life Research, 23(5), pp. 1593–1602. doi:10.1007/s11136-013-0587-2 . Chen, Y., Hicks, A. and While, A.E. (2014). Loneliness and social support of older people living alone in a county of Shanghai, China. Health and Social Care in the Community, 22(4), pp. 429–438. doi:10.1111/hsc.12099 . Chen, Y., Hicks, A. and While, A.E. (2014). Validity and reliability of the modified Chinese version of the older people's quality of life questionnaire (OPQOL) in older people living alone in China. International Journal of Older People Nursing, 9(4), pp. 306–316. doi:10.1111/opn.12042 . Chen, Y., Hicks, A. and While, A.E. (2013). Quality of life of older people in China: A systematic review. Reviews in Clinical Gerontology, 23(1), pp. 88–100. doi:10.1017/S0959259812000184 . Leach, K. and Hicks, A. (2013). The nurse's role in closing the diagnostic gap for people with dementia. British Journal of Community Nursing, 18(9), pp. 433–440. doi:10.12968/bjcn.2013.18.9.433 . Hicks, A. and Clark, L.L. (2011). Care for people with an intellectual impairment or mental health problems: Moving forwards. Nurse Education in Practice, 11(3), pp. 165–167. doi:10.1016/j.nepr.2010.10.007 . Hicks, A. (2001). Developments in education and training for nursing home staff. British journal of community nursing, 6(11), pp. 565–568. doi:10.12968/bjcn.2001.6.11.9456 . Midwives to be. Radio 4 It's one of the most popular degree courses in the country. If you've managed to secure a place at King's College London to study midwifery, you've beaten 17 other applicants to secure the place. Sarah Taylor has been following the September 2014 intake of BSc Midwifery students who are studying at King's College London. Less than half of them are straight from school, some arrive on the course having already studied something completely different. Other members have finally got a place to study midwifery after doing their time as Health Care Assistants and studying via the access course route. It's a really diverse student group and of the 99 student midwives, just one is male. The students share their stories of what motivated them to apply for the course, how hard it was to get on and how they are coping with the first term. It's an intense student experience - twelve hour shifts in hospital alongside lots of lectures to help them get up to speed with everything they need to know to support women in labour. Presented and produced by Sarah Taylor.